We are the dominant auto parts retailer in all of our market areas. 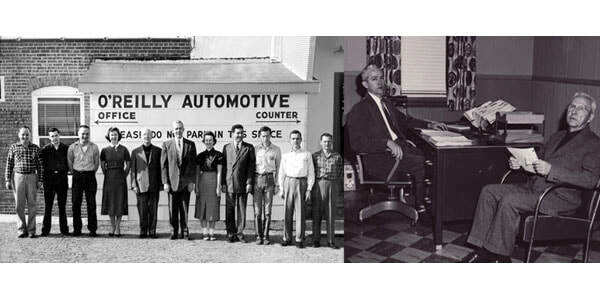 From our roots as a single store in 1957 to our current size of 4,935 locations (and growing), we've come a long way. Our website is a way to help our customers and investors become more familiar with our history, as well as who we are and how we operate. Charles F. "C.F" and Charles H. "Chub" O'Reilly, with the help of 11 other employee/owners open O'Reilly Automotive on December 2 in Springfield, MO. Sales the first full year totaled $700,000. In February, O'Reilly names Greg Johnson and Jeff Shaw as new Co-Presidents. Greg, former Executive Vice President of Supply Chain, and Jeff, former Executive Vice President of Store Operations and Sales, continue to report to Greg Henslee, who remains Chief Executive Officer. 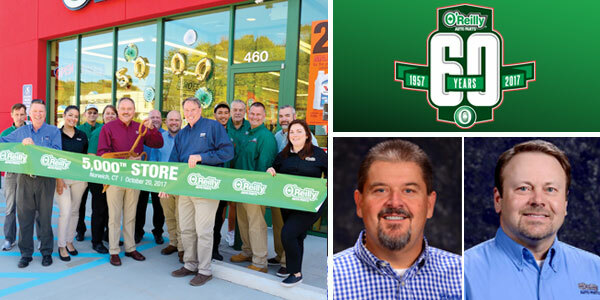 On October 20, 2017, O'Reilly opens its 5,000th store, 5245-Norwich, CT.
December 2, 2017, the Company celebrates 60 years in the auto parts business with more than 75,000 team members in 47 states. 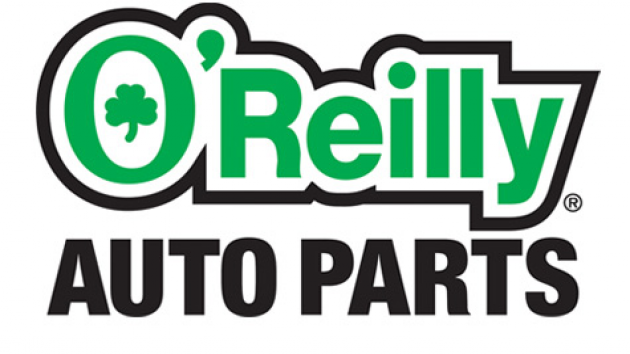 O'Reilly Auto Parts intends to be the automotive aftermarket industry leader, and we realize that this goal can only be accomplished with the help of our team members. A philosophy has evolved within O'Reilly with regard to how team members are treated and how they treat others. We call this our "O'Reilly Culture" and it can be summed up by the following business philosophy. The O'Reilly Culture...Our COMMITMENT To Our Customers and Our Team Members. We are ENTHUSIASTIC, HARDWORKING PROFESSIONALS who are DEDICATED to TEAMWORK, SAFETY and EXCELLENT CUSTOMER SERVICE. We will practice EXPENSE CONTROL while setting an example of RESPECT, HONESTY, and a WIN-WIN ATTITUDE in everything we do. WANT AN OPPORTUNITY TO JOIN THE O'REILLY TEAM? 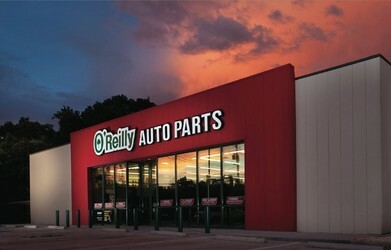 O'Reilly Automotive intends to be the dominant supplier of auto parts in our market areas by offering our retail customers, professional installers, and jobbers the best combination of price and quality provided with the highest possible service level.In order to accomplish this mission, O'Reilly will provide a benefit and compensation plan that will attract and keep the kind of people that will enable the company to reach its goals of growth and success.